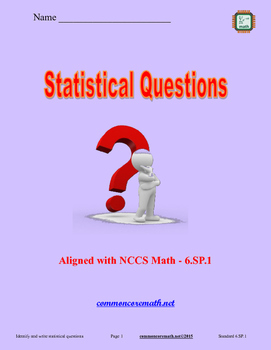 Discover the difference between "statistical" questions and other questions. Scaffolded lesson provides for classroom differentiation. 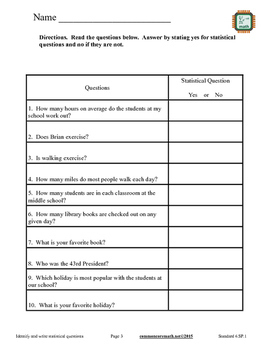 Can be used as a lesson leader, guided practice, independent practice, for cooperative learning and math centers, or as an assessment. 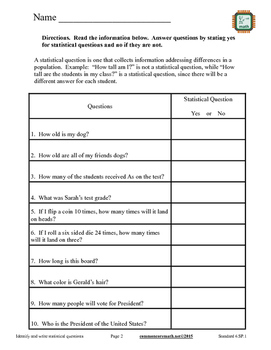 Use with smartboard, projector, computer, pad or as printable. Lesson is complete - NO PREP. 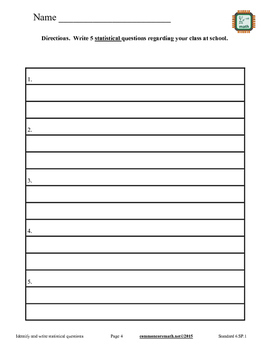 Includes 6 problem pages and answer sheets. Look for more help at commoncoremath.net!